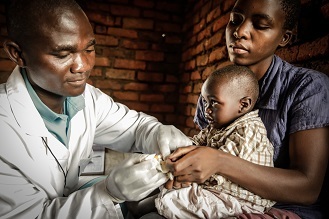 VillageReach serves as a catalyst to strengthen and improve the performance of health systems. We partner with governments, local communities and other non-governmental organizations to develop, test and implement sustainable solutions that improve health system capacity and efficiency. Effective solutions require a deep understanding of local health systems, a diverse set of skills and expertise, and strong relationships and partners on the ground in order to achieve impact, scale and sustainability. VillageReach blends expertise across technology, public health and business to address last mile health challenges spanning multiple programmatic areas including maternal, newborn and child health, immunization, malaria, HIV, diarrheal disease and tuberculosis.